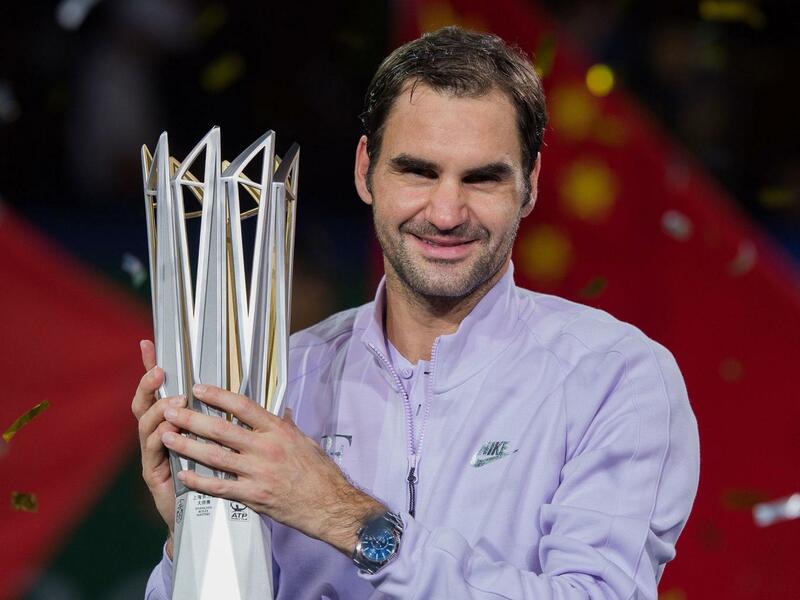 Wimbledon champion Roger Federer beat world number one Rafael Nadal 6-4 6-3 in the Shanghai Masters final to capture his sixth title of the year. The 36-year-old Swiss, who has lost only four times in 2017, was again in imperious form as he won in 72 minutes. It was his fourth win of the year against Nadal and his fifth in succession over the Spaniard. Federer fired 10 aces, and the 19-time Grand Slam winner's 94th career title cut his deficit against Nadal to 23-15. It moves him level with Ivan Lendl in terms of Open era titles, with only American Jimmy Connors (109) having more. The Swiss survived a stern test against Argentine Juan Martin del Potro to win 3-6 6-3 6-3 in just under two hours in Saturday's semi-final. It was the 24th meeting in a final between the world's top two, and with the roof again closed because of rain in Shanghai, Federer built a 4-2 lead en route to winning the opening set. There was little between them in the early exchanges of the second set until the pivotal fifth game. 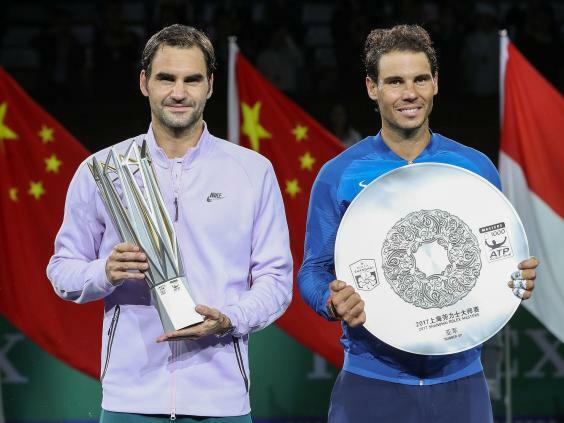 Nadal, winner of the US Open and China Open, saved the first break point but could not survive the second as Federer surged to a second Shanghai Masters crown. Federer is the only man who can deny Nadal the number one ranking at the end of the year, but he said the ATP Finals at London's 02 Arena next month was his main focus. "I'll go home and we will work out where I play next - Basel, Paris, one of those or none, before I go to London, which is my priority," said Federer. "World number one I don't think will happen but if I play like this maybe I'll get close, who knows?"